RPI Completes Office/Support Laboratory Expansion - Remediation Products, Inc. The calendar says it’s Spring and that means that it’s time to grow. Well, guess what? We did! Very recently, we completed a major refurbishment of our office campus in Golden, Colorado. We now have more office space, more people, and a totally updated communication system. The crown jewel of this effort was more than tripling the size of the RPI Group Quality Assurance Center. 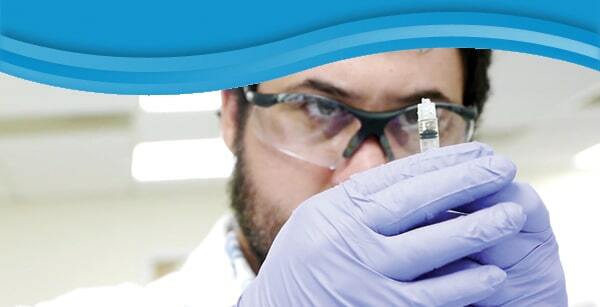 As many of you know, our laboratory receives and analyzes thousands of samples each year from around the world. These analyses are the backbone of the RPI Group Approach, which is unprecedented in the environmental industry. All Trap & Treat® BOS 100® and BOS 200® projects are lab-supported from Remediation Design Characterization (RDC) to field performance quality assurance to post injection monitoring. This cradle-to-grave analytical support is not offered by anyone but RPI Group. Oh, and one more thing—it’s FREE! And since Spring has only just started, you can expect a lot more from us over the next several months. Hopefully, we’ll see some of you at the 2016 Battelle Chlorinated Conference on May 22-26. Once again, we are major sponsors and will have a new look in the exhibit hall. And by then, our new website (that actually will be friendly to all your devices) will be fully operational! Stay tuned for more great news coming soon! Note: Our main phone number at RPI has changed to 720.639.8771 (thank you for changing your records).